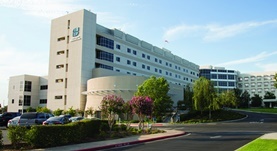 Dr. Azeem Noorani is a radiology specialist in Fresno, California. He got his diploma from New York College of Osteopathic Medicine and did his residency in Radiology at Oakwood Hospital. Dr. Azeem Noorani also completed a fellowship in Nuclear Radiology at Mayo School of Graduate Medical Education. The doctor is board certified in Diagnostic Radiology and has an experience of more than 20 years.